Amazon billionaire Jeff Bezos’ Blue Origin space venture is among 10 teams that will share about $10 million in NASA funding to look into techniques for using resources from the moon and Mars. The studies are aimed at advancing technologies for in-situ resource utilization, or ISRU. 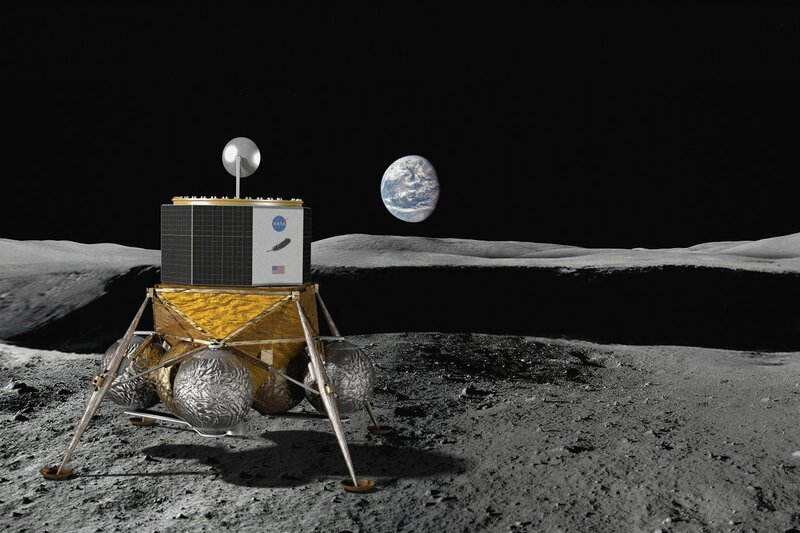 Such technologies could, for example, make use of ice in lunar soil to produce drinkable water, breathable oxygen and rocket propellants for refueling spacecraft. To cite another example, carbon dioxide from the Martian atmosphere could contribute to the production of methane fuel. Relying on ISRU resource processing would reduce the amount of fuel and supplies that’d have to be launched from Earth for missions heading to the moon, Mars or other space destinations. This entry was posted in GeekWire and tagged Blue Origin, Mars, Moon, Space. Bookmark the permalink.